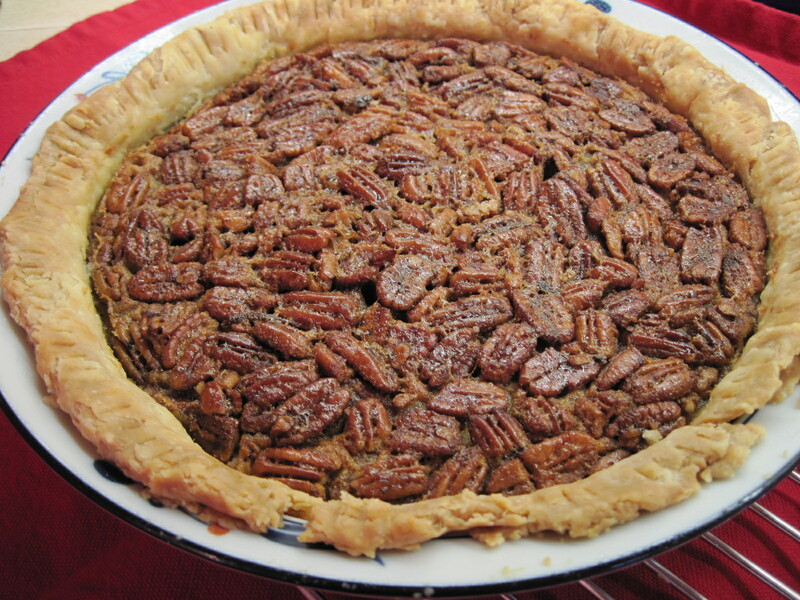 Pecan Pie is one of our family’s holiday favorites. It wouldn’t be Thanksgiving without it, and we sometimes have it again during the Christmas holidays. 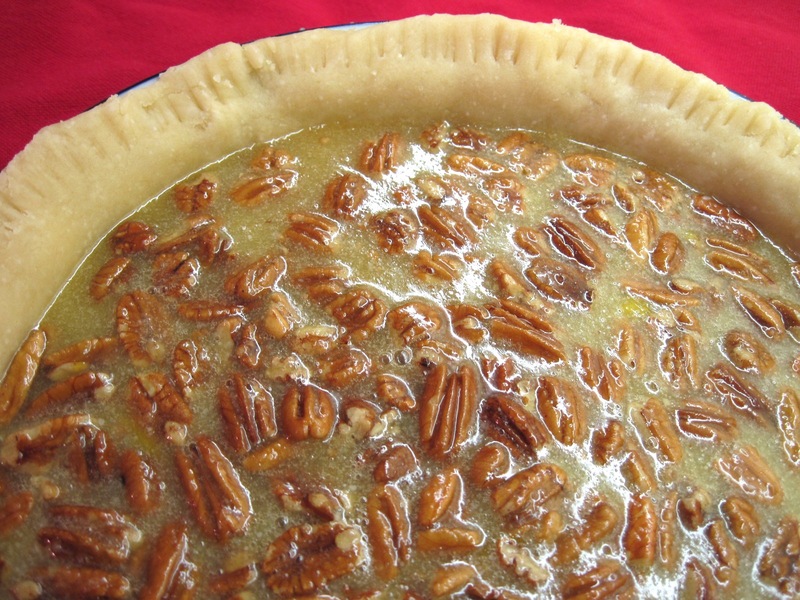 I developed this pie using honey and pure maple syrup instead of sugar and corn syrup. It’s definitely sweet, but not as cloyingly sweet as a traditional pecan pie. Today is Pi Day (3.14) so I decided to celebrate with Pecan Pie! 1. Place a large baking sheet (larger than the pie plate) in the oven and preheat to 350˚. 2. 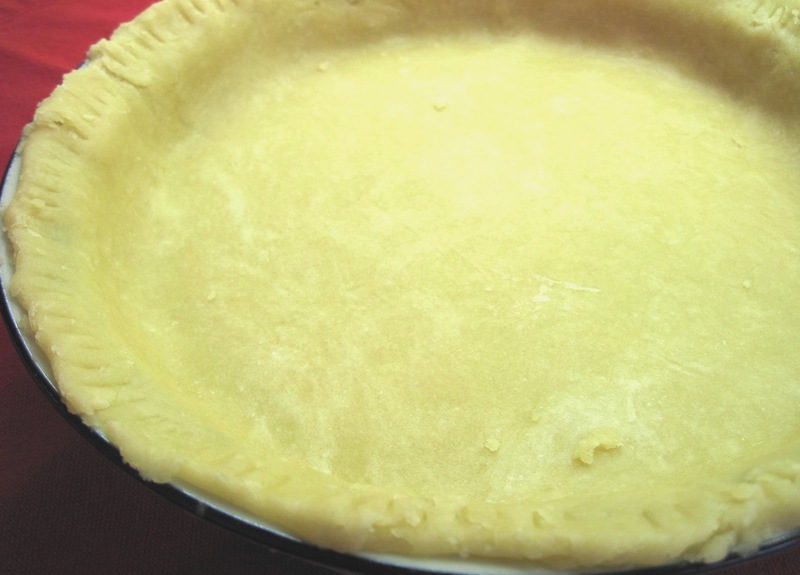 Make the Easy Pie Crust for a Single Crust Pie. 3. In a mixing bowl, beat the eggs slightly with a fork. 5. While stirring constantly, pour in the melted butter; mix well. 6. 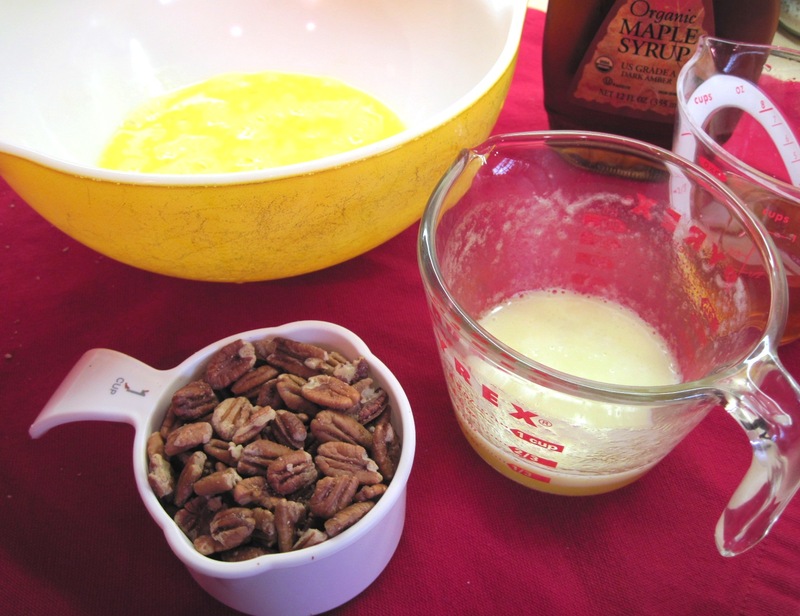 Stir in the pecan halves. Pour the pecan filling into the prepared pie crust. 7. Place the pie on the baking sheet that has preheated in the oven (350˚). Bake for 45 minutes, or until a knife inserted off-center comes out clean. (If you have an instant-read thermometer, it should read 185°.) Cool on a wire rack. 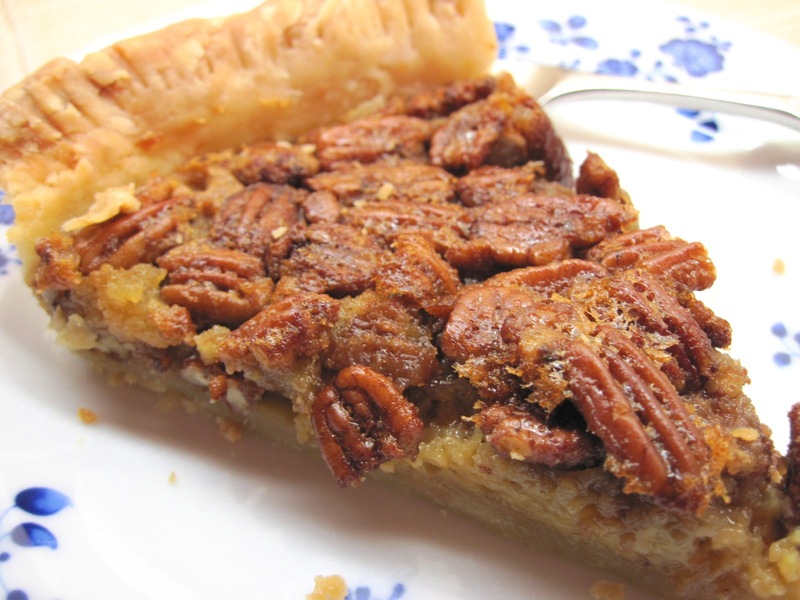 Because pecan pie is made with eggs, leftover pie should be store, covered, in the refrigerator. The extra light olive oil (I get it at Costco) is so mild that it really doesn’t add an olive oil flavor. I used it last Thanksgiving and Christmas. Did you use the scale to weigh the flour? The recipe for a two-crust pie calls for 2 1/4 cups flour. Each 1/4 cup is 30 grams, so it would be 270 grams of flour. It might have made a difference if you used measuring cups to measure the flour. It could have ended up being more than 270 grams, so more milk was needed. Just a theory. I haven’t tried the pie crust with olive oil…do you like the taste better? When making the (full) dough recipe this morning, I used our nifty new digital scale to measure the oil and milk (because I always hate measuring out all those tablespoons!). It was 4 oz. oil to 3 oz. milk…although I found I had to add more milk in.